The wife of this year's Nobel Peace Prize winner says she was allowed to visit him in prison, but was later detained in her Beijing apartment. The wife of this year's Nobel Peace Prize winner was able to visit him in prison on Sunday, but was later detained in her Beijing apartment. Liu Xia wrote on her Twitter page that she's under house arrest and her cellphone "was broken," so she has no way to take calls. She has not been charged with any crime but was placed under house arrest and prohibited from receiving visitors, the U.S.-based international human rights group Freedom Now said. "Liu Xia is under enormous pressure," Yang Jianli, one of Liu’s legal team and a human rights specialist with Freedom Now, said in a news release. Her online message said she has been detained in her home and unable to make phone calls since the Norwegian-based Nobel committee made its announcement on the Peace Prize win on Friday. Half a dozen men blocked the entrance to Liu's apartment on Sunday night, ordering reporters out of the compound. 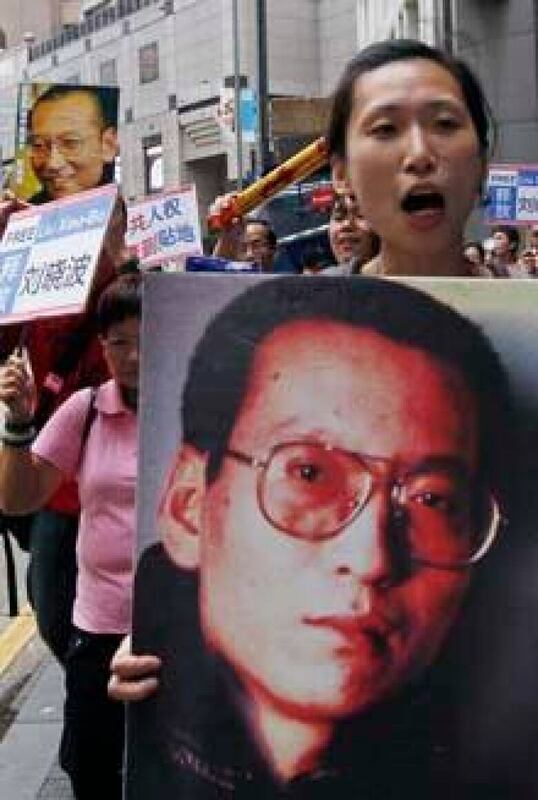 Earlier in the day, she was allowed to visit her husband, democracy campaigner Liu Xiaobo. With tears in his eyes, he told his wife he was dedicating the Nobel award to victims of the 1989 military crackdown on pro-democracy protesters in Beijing, his wife and a close friend said. In naming Liu, the Nobel committee honoured his more than two decades of advocacy for human rights and peaceful democratic change. China calls him a criminal. Liu, a slight, 54-year-old literary critic, is in the second year of an 11-year prison term for "inciting subversion of the state," based on his writings and a pro-democracy manifesto. He is serving his time at a prison in the northern industrial city of Jinzhou. 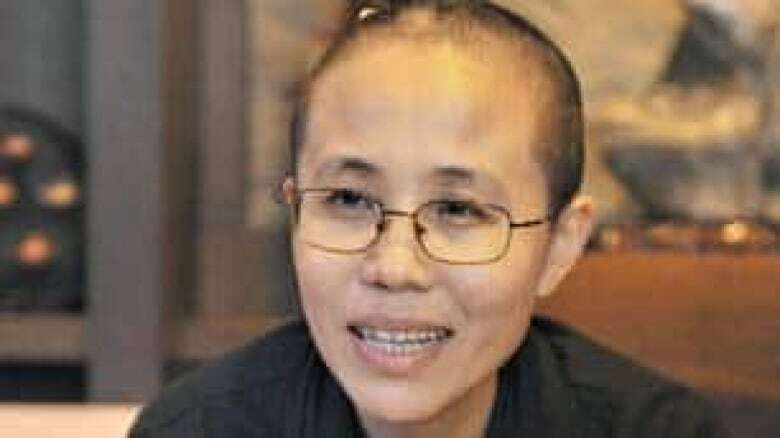 Liu Xia previously said police prohibited her from talking about the Nobel nomination during her visit to the prison in September. Former Liberal MP David Kilgour, a member of Freedom Now, said Canada should recall its ambassador from Beijing for consultations. "We should make it clear that relations with the government of China will not be the same till this world hero [Liu Xiaobo] has been freed," he said.